Every year, the Ellis Center selects and highlights someone in our community who deserves recognition for their dedication to individuals with disabilities. The Queenie Award began in 2015 in memory of "Queenie", Rena Lawson Everett, who loved and worked tirelessly for her granddaughter, Adair, who is a student at Ellis. This year, we proudly honor Patricia ‘Pati’ Alexander with the 2019 Queenie Award. Pati was an important resource and a skilled Teacher of the Visually Impaired who impacted hundreds of families in our area and beyond. When someone in Atlanta needed to know about Cortical Vision Impairments (CVI), they were told to go to Pati Alexander. Pati gifted her passion for children with disabilities to her three adult daughters, one of whom is not only following in her Mother’s footsteps as a Teacher of the Visually Impaired, but also a Teacher of the deaf/hard of hearing. Pati was very integral when the Ellis Center began, and she worked with many of our past and current families. Moreover, she left such an unmatched mark in the lives of so many children in metro Atlanta. Outside of her endless dedication to help people with disabilities, Pati was a loving mother, grandmother, and wife. She was a skilled artist of many mediums and wrote beautiful poetry for all to enjoy. Her loved ones say that ‘she never met a stranger’ because she was friendly with everyone she met and had the ability to make anyone feel special. Earlier this year, Pati left this world too suddenly but Ellis is honored to continue her legacy. She was quintessential in our foundation and ability to best teach children with multiple impairments. Due to her thirty year career, Ellis and others have the resources to better serve the disability community. In the memory of "Queenie", Rena Lawson Everett who’s granddaughter attends Ellis, the Queenie Award was founded in 2015. When she was with us, Queenie was dedicated to her granddaughter and others like her with multiple disabilities. Queenie left an impact in the community, just like the individuals awarded each year. 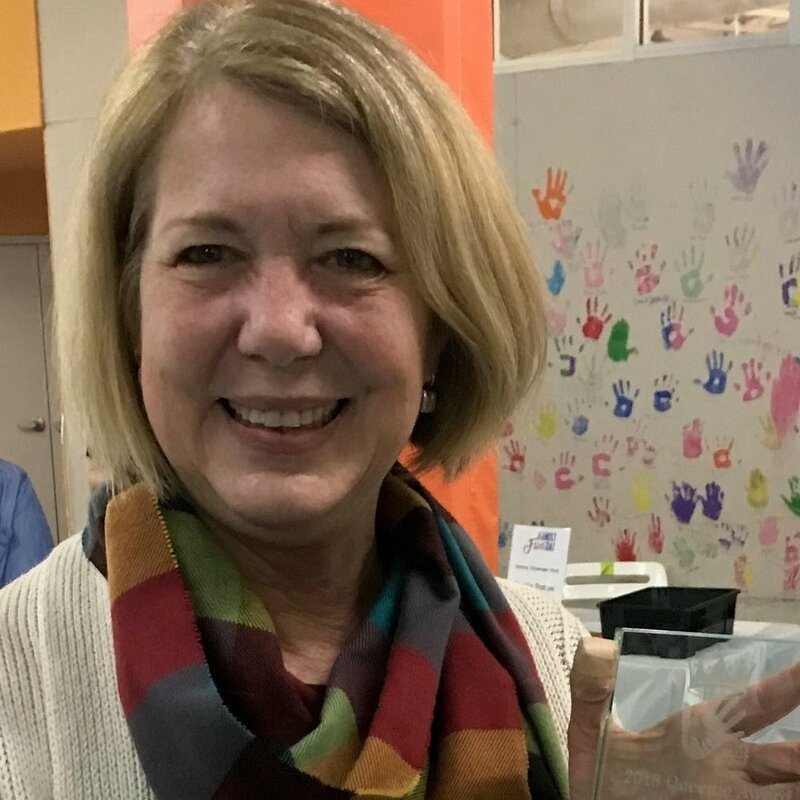 Our 2018 Queenie Award Honoree, Lucy Cusick, has been a champion for individuals with disabilities as the Executive Director of FOCUS since 1994. After FOCUS merged with the Fragile Kids Foundation two years ago, Lucy continued leading as more services and resources were made available to families in our community. Other winners include Diane Wilush of United Cerebral Palsy of Georgia and South Carolina and Grant Troutman, the Inclusion Teacher of Peachtree Presbyterian Preschool.